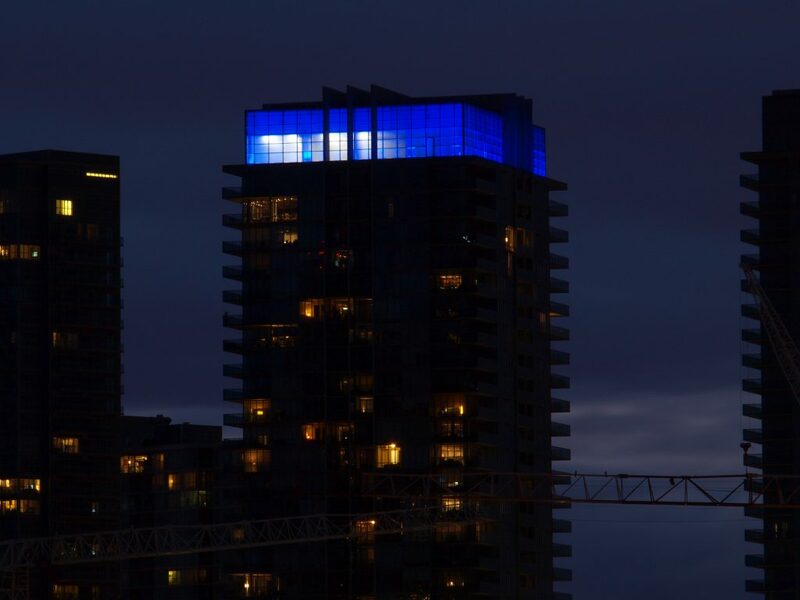 Not long ago, we checked out the smallest suites available in the new condo markets of Toronto, Montreal, Vancouver and Calgary. 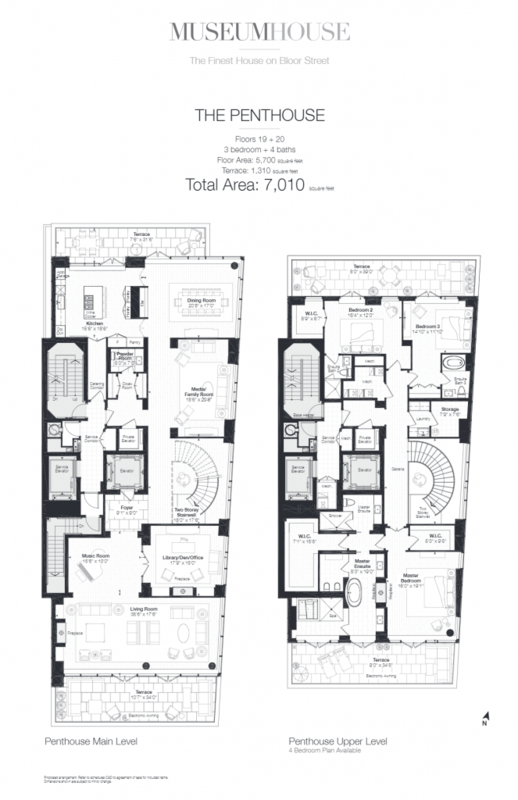 The tiniest new unit in Toronto measured a scant 289-square feet. Though micro-living isn’t the norm, smaller units are still status quo in the city: nearly half of all new suites currently available are one-bedroom condos, with a median size of 593-square feet. We thought we’d look at some of the most interesting outliers in the Toronto market by going in the exact opposite direction. Using our own data, we’ve found the five roomiest new condos on the market. 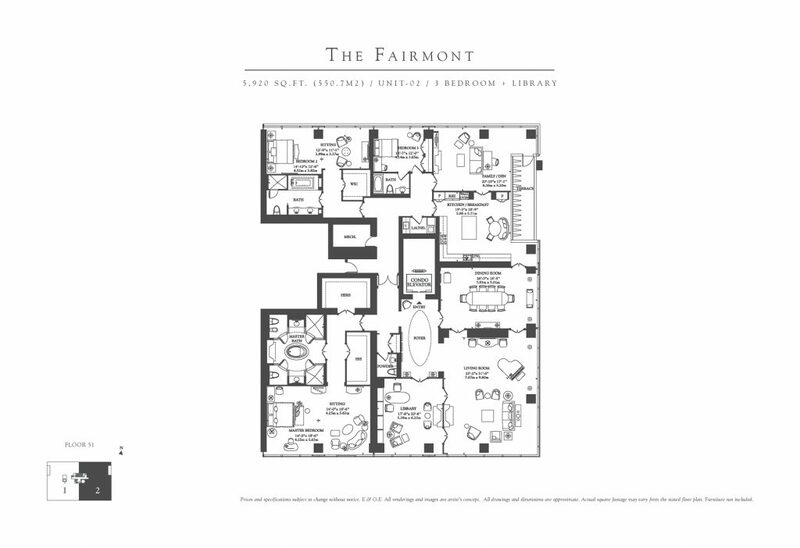 Take a look at the floorplans below to get a better sense of the outrageously spacious suites, most of which are located in the downtown core. Just for fun, we’ve also looked into how many of the 289-square foot micro units could fit into each of these condo giants. 5. PH01, The Bond Condos, 290 Adelaide St. W.
Altogether, this penthouse measures 5,641-square feet though a considerable part, nearly 2,000-square feet, is devoted to exterior space. The long terrace spans the entire western flank of the unit, meaning residents will get to enjoy plenty of sunsets from the top of the tower. The three-bedroom space is on the market for $3,399,900. Micro condo measurement: Just under 20 micro suites would fit in this unit. 4. The Fairmont, The Residences at the Ritz Carlton, 183 Wellington St. W.
There’s a reason why the word “ritzy” traces its origins directly from the Ritz Hotel back in the 1920s. How much more lavish can you get? Up on the 51st floor, this 5,920-square foot space is home to three bedrooms, a library, dining room and more. The suite costs $1,486 per square foot, for a grand total of $8,800,000. Three bedroom condos in the city are something of a rarity: only about seven per cent of the suites currently available features floorplans with three bedrooms or more. According to our data, as of October 1st, the median price for one of these hard-to-find condos is much, much less at $699,900. Micro condo measurement: You’d be able to fit about 20.5 micro units in this space. 3. 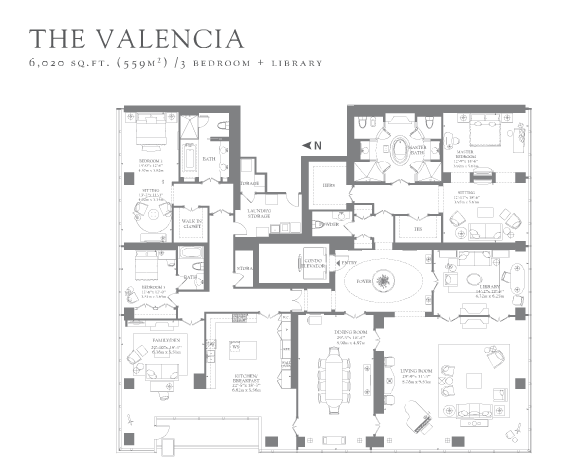 The Valencia, The Residences at the Ritz Carlton, 183 Wellington St. W.
This unit will cost you $9,650,000, or about $1,603 for every one of the 6,020-square feet of space. How does that compare to the Toronto standard? As of Wednesday October 1st, the average price per square foot was $621.41. The condo is tricked out with a sitting room off both the master bedroom and the second bedroom (bring back the boudoir! 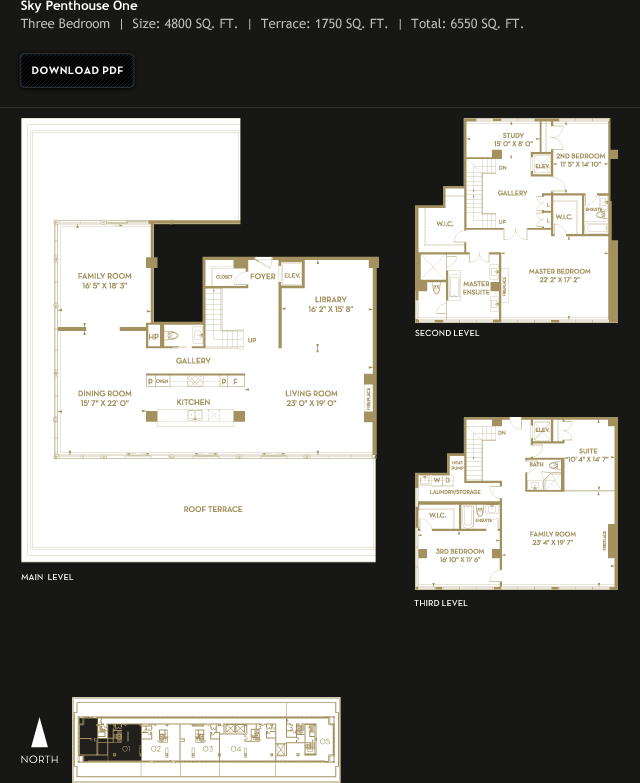 ), a library, a living room with a separate dining room as well as a family room/den off the kitchen. Micro condo measurement: You’d be able to fit nearly 21 micro condos into this space. 2. SkyPenthouse One, Imperial Plaza, 111 St. Clair Ave. W.
The penthouse is home to a wrap-around rooftop terrace on the main level of this three-level suite. Just how big is it? The outdoor space measures 1,750-square feet. Add in 4,800-square feet of interior space and you’ve got on massive 6,550-square foot home atop the building just off of Avenue Road. Micro condo measurement: Nearly 23 micro condos could fit in this penthouse. 1. The One-Of-A-Kind Penthouse, MuseumHouse On Bloor, 206 Bloor St. W.
Everyone gets a terrace! This penthouse features a terrace off the second and third bedroom, a private terrace accessible only by the master bedroom plus an additional terrace off of the main living area for a total of 1,310-square feet of outdoor space. The 5,700-square feet of interior space features three bedrooms, four bathrooms and is spread out across two floors. 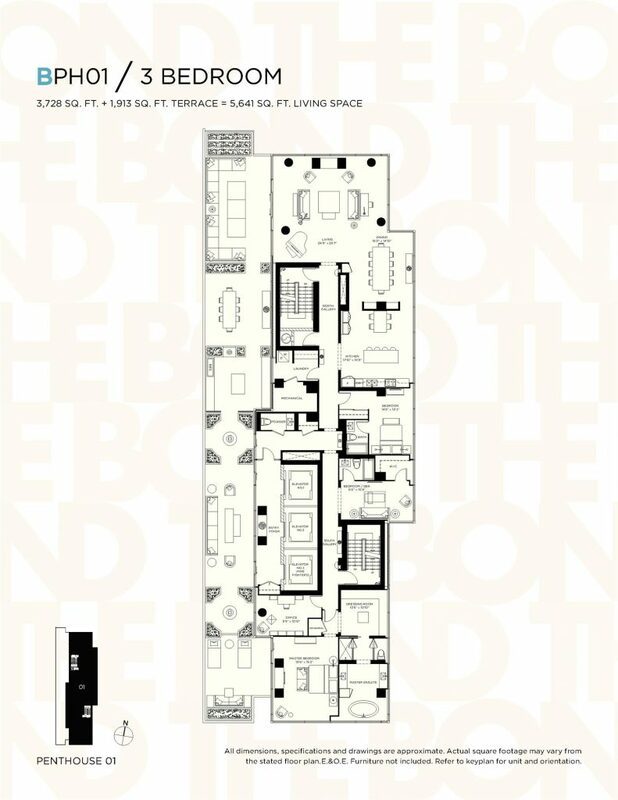 Altogether, this mega unit is home to an astonishing 7,010-square feet. Micro condo measurement: Toronto’s smallest new condo could fit just over 24 times across the full penthouse space.